It has been said by many that beauty is in the eye of the beholder. Although this is may be true on many levels, it also known that items of strikingly sophisticated design can certainly catch just about anyone’s eye. Would someone prefer a delectable meal that was served to them on a disposable plastic plate over fine bone china? The answer is likely no. So while the packaging and design of a product may not necessarily guarantee its immense quality, style can go a very long way. And luckily the product quality just so happens to not fall far from the tree. Nothing will stop people in their tracks the way these little beau- ties will. Designed to enrich the tasting experience of Port, the non-stemmed shape forces the glass bowl to be held by hand and creates a warming effect that heightens the Port’s flavor pal- ate. Sipping through the glass stem allows the Port to be sucked from the bottom, limiting the amount of oxidation and further concentrating its flavors. Hand blown and petite in size, Port sippers are not only wonderful to enjoy alone but are also the perfect glasses for dinner parties and gatherings. So what is it that makes Port so special that it warrants a specialty glass sip- per like this? Port sippers date all the way back to the 17th century when Port was at its peak of the English wine trade. Most other still wines go through a production of being crushed, pressed, and then fully fermented until dry. Port on the other hand goes through a vigorous maceration period to fully extract color and tannins before it is fermented until reaching the desired sweet- ness level. Once it has been decided that the wine has reached this level, the winemaker then adds in a high alcohol grape spirit, killing off the remaining yeasts and halting fermentation. This allows the wine to reach a higher alcohol level of roughly 20% ABV while much of the juice’s natural sweetness remains in the finished Port wine. These wines are typically comprised of a wide blend of native Portuguese grapes like Touriga Nacional, Tinta Barroca, Touriga Franca, Tinta Roriz, and Tinta Cão. The finished wines are then aged in barrel for anywhere from 2-40 years, depending on the Port style. With such a complex production and big story to tell, it really is no surprise that Port fanatics have long pursued the perfect wine glass in order to fully relish these sweet little wonders. It is no secret that the world is inundated with glassmakers producing dozens upon dozens of different shapes and sizes of wine glasses. 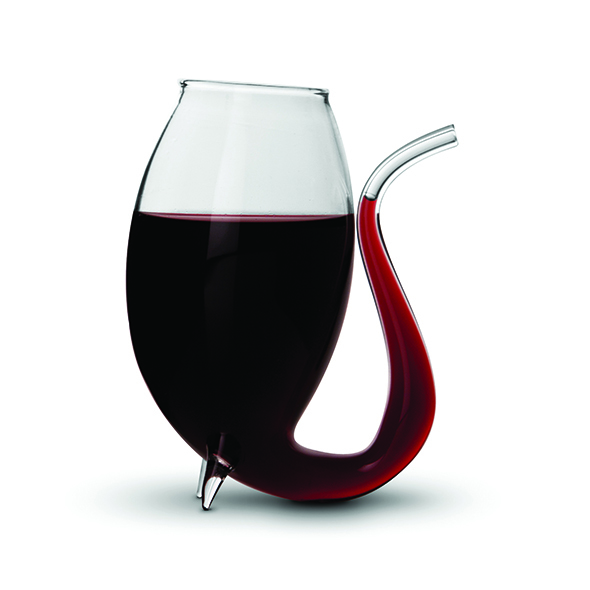 There is a different wine glass style on the market for virtually every kind of wine out there. And while there is certainly some proven merit to these efforts, what if someone does not want an overloaded cabinet stocked full of wine glasses of every shape and form? What if they simply wanted one kind of wine glass for all of their wines? Swiss German wine critic René Gabriel had that same thought. 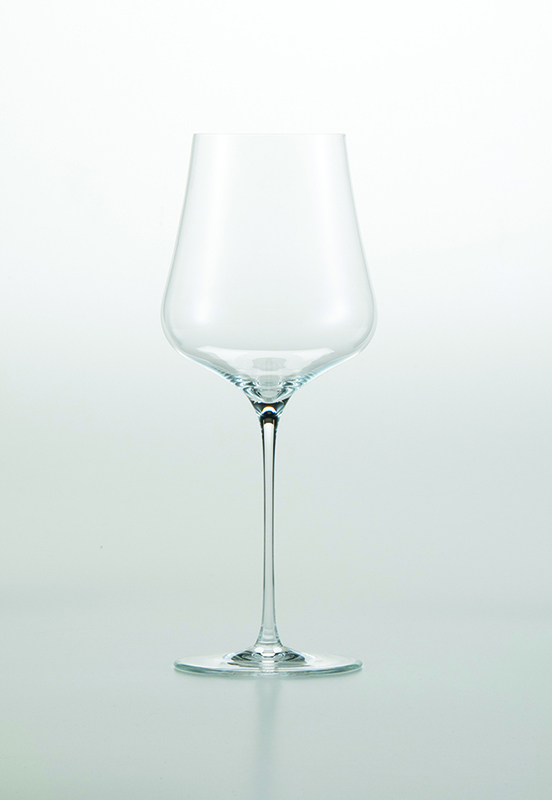 In 2009, he decided to team up with some of the best Austrian master glass technicians to create the innovative “One for All” wine glass with a universal functionality. Now considered to be the world’s most versatile wine glass, Gabriel glassware has become the go-to for any wine: white, red, sparkling, and dessert. René and his team have mastered the concept of a glass that can express the best qualities of each and every wine. And furthermore, the absolutely beautiful design of the glass not only makes it effective on the palate, but also very easy on the eyes. The secret is all in the glass’s shape. The broad base of the bowl maximizes the wine’s surface-to-air contact while the top’s conical shape concentrates the delicate bouquet. Made from 100% lead free crystal, this glass exudes both elegance and durability. By comparison to other glasses on the market, Gabriel-Glas presents an economically and space friendly glass that is lightweight and dishwasher safe. Introduced to the U.S. in 2012, Gabriel-Glas has already made quite a name for itself and can now be found at some of San Francisco’s top wine retailers and restaurants such as Farallon and Mark Bright’s Two-Star Michelin restaurant Saison.